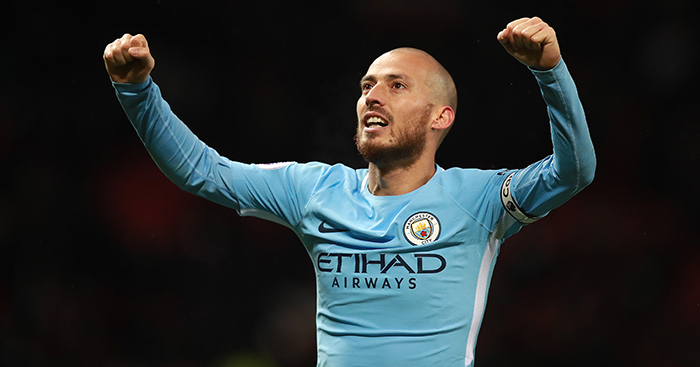 BETTING analyst Adam Wallis (@SharpSignals) shares his verdict on Huddersfield's meeting with Manchester City on Super Sunday. This is another ‘must win’ match for Manchester City and Pep Guardiola as they face a tricky trip to Huddersfield on Super Sunday. League position puts the Terriers rock-bottom of the Premier League on 11 points and the hosts have recently parted company with David Wagne – for this reason, it may make this match a little more difficult for the champions. Mark Hudson has taken the driving seat as caretaker manager for Town. City’s recent form has been questionable, and away from The Etihad their Expected Goals numbers have dropped from over 2.00 to 1.89. The Citizens still hold a decent defensive metric of 0.77 xG against on their travels which, when you’re not playing at your best, comes in handy. Two questions I ask myself when looking at games involving the Big Six versus the bottom-six are, 1) can the bottom-six score? and 2) how many can the Big Six side score? Any team can score a goal as football is full of luck and randomness, as we know, but to give ourselves a better chance of predicting the outcome of this type of match, I find those two questions are a decent starting point. How many can City score? We have seen over the last few weeks that City can score at will, though that was against lesser opposition; Guardiola’s group have aggregated 24 goals in last five games across all competitions, conceding just two. The games against Rotherham (7-0) and Burton (9-0) make up the bulk of that figure. In the Premier League and away from home they have score 19 conceded seven. They are currently outperforming xG metrics by 11 goals over the 22 games played (0.50 xG for) averaging 2.21 per-game. The win against Wolves was distorted by the early red card but I still think the result would have been the same. They know that a loss at this pinnacle point of the season will see them fight an uphill battle to retain the title. I can only see one result in this match, especially with star players returning to full fitness (Kevin De Bruyne) and Sergio Aguero rested for the win against Wolves. City do have the second leg of the EFL Cup three days after this match but that is already sewn up. Can Huddersfield grab a goal? No, I don’t think so, is the answer to this one. They have played Chelsea (0-3) Tottenham (0-2) and Liverpool (0-1) so far this season at the John Smiths Stadium without scoring. If we go back into the calendar year, we can see losses to Arsenal (0-1) and Liverpool (0-3) – even though that is a small sample size, we can see that they do struggle to put the ball in the net against top opposition at home. City have conceded three times in their last five away games in the Premier League, which is a slight concern for my preferred selection, but only slight. Expected Goals home and away against the Big Six this season, Huddersfield average 0.73 and concede 1.75, which doesn’t bode well. With the manager leaving also, I think the Terriers will try and show some bite but end up all bark as City’s aggressive press both defensively and offensively will be too much. As expected, the champions are massively odds-on at 1/6 and the Asian Handicap line set at 2.75, so a 0-3 scoreline would see profit. As usual with a match involving Manchester City, the goalline is set high at 3.25 so four goals are needed to make money. As I am not expecting Huddersfield to contribute to the goals tally, that leaves us with the first question and I think the answer is over three. My selection here is to go with the Manchester City -2 in the straight handicap (11/10 Bet365), meaning that we need them to win by three or more goals to profit, which I think considering it was 6-1 in the reverse fixture, and off the pitch affairs for Huddersfield, City are capable of producing.